This video demonstrates how to install our RainGuard™ and SnowBoot™ products on crutch or cane shafts. 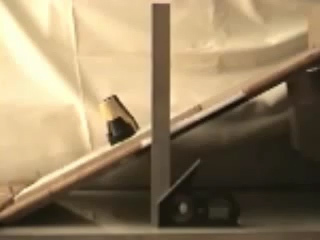 This video was home-made by the inventor of the Hi-Trac System of SnowBoots™ and RainGuard™ crutch tips. 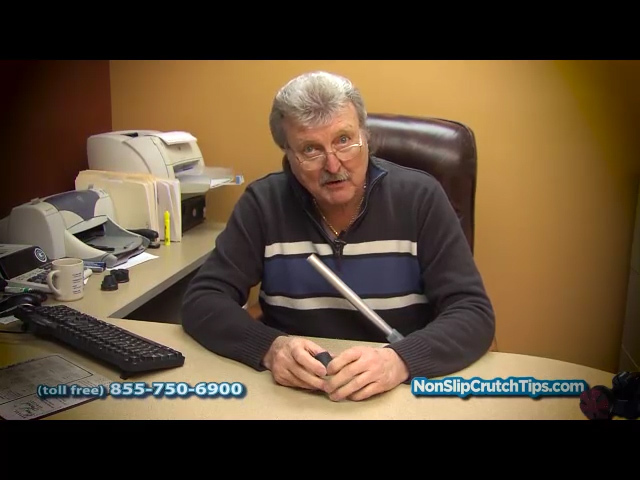 He invented these tips for his wife who had Polio and has been using crutches since age four. The video demonstrates RainGuards™' superior traction over other crutch tips. This video explains the quality and pricing structure of our RainGuard™ and SnowBoot™ products. RainGuard crutch tips are for canes and crutches. Rainguard are lightweight, long wearing and easy to use both indoors and out. Don’t forget to order SnowBoots for your RainGuard if you live in areas with ice and snow. Order today by visiting our online ordering page. Please visit us on Facebook and/or Follow us on Twitter. Now available on Walmart.com. Click Walmart's Spark logo below to go there now! Copyright © 1980-2017 Hi-Trac Industries Inc. All Rights Reserved.